The problem with tart/sour cherries is those words: tart and sour. Not all that appealing in a culture where sweet rules taste buds, right? There’s even an Aesop’s Fable about grapes that pretty much says no one wants sour fruit anyway. But tart cherries are the ones that make better pies, wonderful jam and are chock full of healthy stuff that’s become buzz-worthy, as in the latest must-try food fad. Well fads come and go. Never mind that. What’s worth paying attention to is something natural with a long track record that will still make gardeners and cooks smile even after some newer trend comes along. NPR just ran a great story that speaks to this under-appreciated fruit. 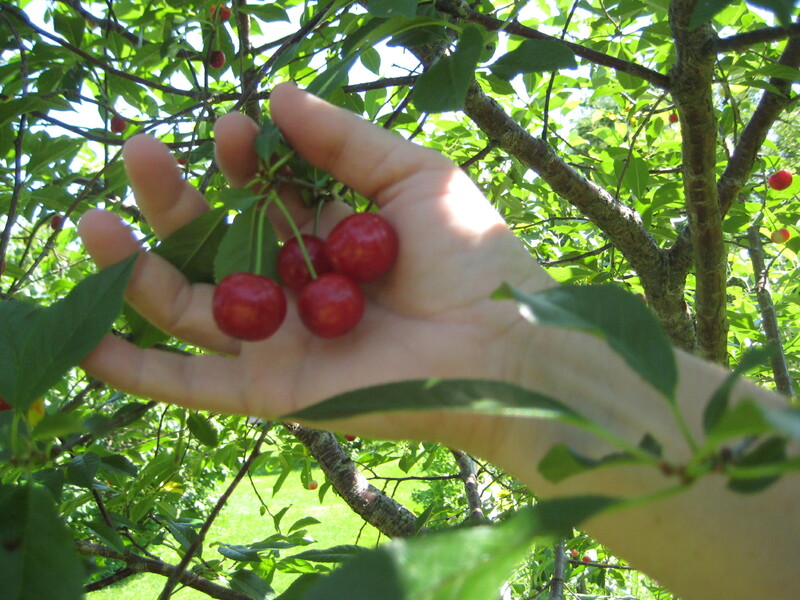 Reporter Dan Charles highlighted long-standing efforts by Amy Iezzoni of Michigan State University to bring the wider varieties of tart cherries found in Europe over to North America – and breed new varieties on this continent too. Along the way, she also got a taste of a whole different tart cherry culture. In Hungary, for instance, sour cherry trees line village streets. “Their tart cherries are so good, they eat them fresh. I have actually seen in Hungary the price of tart cherries higher than sweet cherries,” Iezzoni says. They are also called pie cherries, which makes sense. Because sweet cherries are good for eating fresh and tart cherries are better for things that require firmer flesh that can take some heat in the kitchen, like pies and preserves. (Same story with apples: some are best eaten fresh, others make better pie, and still other varieties are favored for cider.) Comments following the NPR story include fond memories of things made with tart cherries and list a number of sources for getting the trees. I have long drooled over the varieties offered at St. Lawrence Nurseries in Postdam. I can’t easily get their stock into Canada, so I’ve been trying things out from Green Barn Nursery in Quebec. There are other sources worth checking too, but these two have been at it for a while and are close at hand. Apparently, efforts to breed sour cherries in Canada go back to at least the 1940’s. 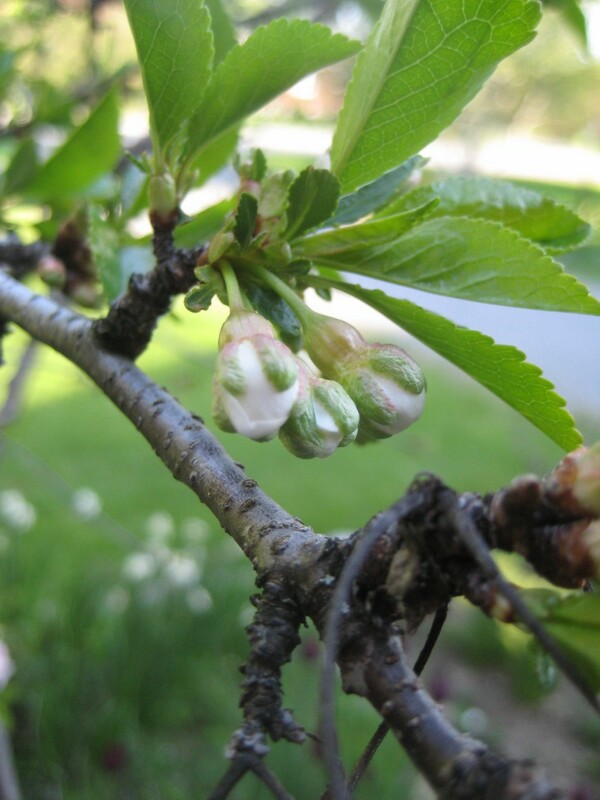 According to this article from Fruit Growers News, this has come as far as small bush cherries that can be harvested by machine. Harvesting by machine doesn’t sound like the best path to ripe, unbruised fruit to me. But since picking is labor intensive, that’s probably a necessary step for commercial production. Home growers can do better than that, though. I love cherries. One of the exciting parts about moving here for me was the chance to select different varieties of regionally-suitable fruit trees. 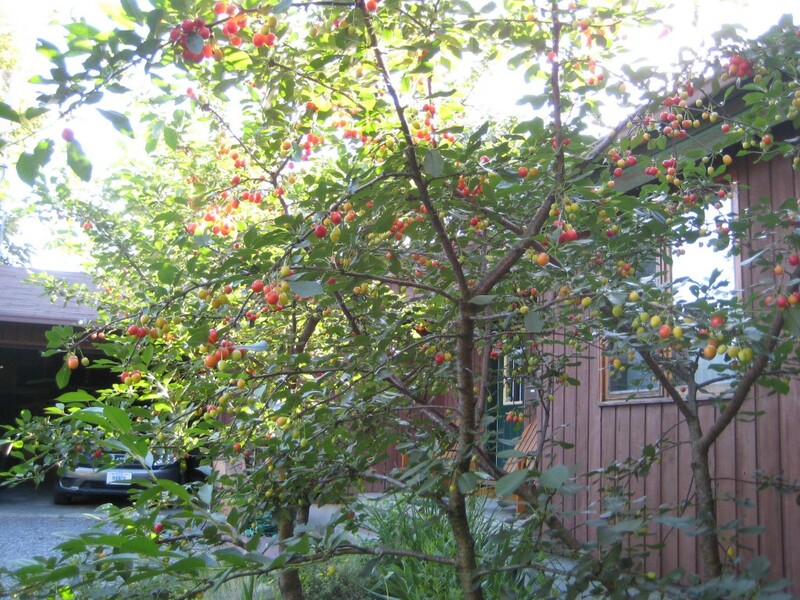 I planted maybe 8 or more dwarf apples and 4 dwarf cherries at our first house in Canada. The “sour” cherries I tried around 10 years ago were: Evans, Northstar and Meteor, and they all did very well. 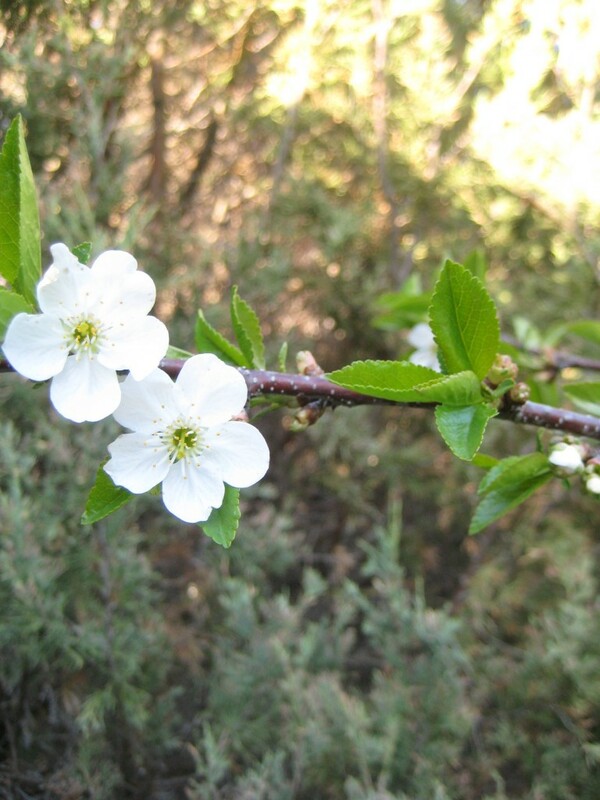 A few years later I gambled on a dwarf sweet Bing cherry, planting that in a sheltered spot. It was slow to take off and I don’t know if it’s gone on to bear fruit. But it lived. Alas, I could not take my mini-orchard along when we moved to a different rural village two years ago. Amy Ivy and Martha Foley have discussed choices in home-grown fruit in the past. Ivy tends to recommend easy berries for more immediate returns with less fuss, like strawberries. 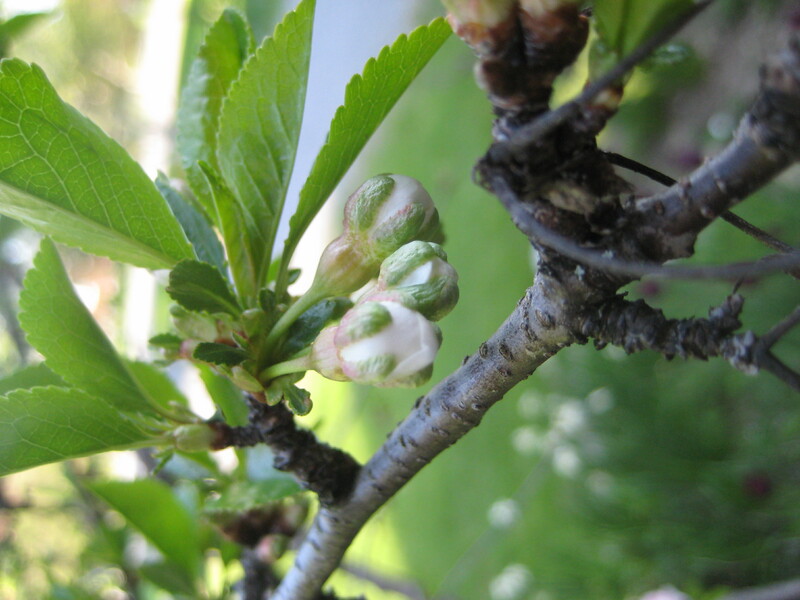 Because some fruit tree (particularly apples) are more work and fuss than you might expect. 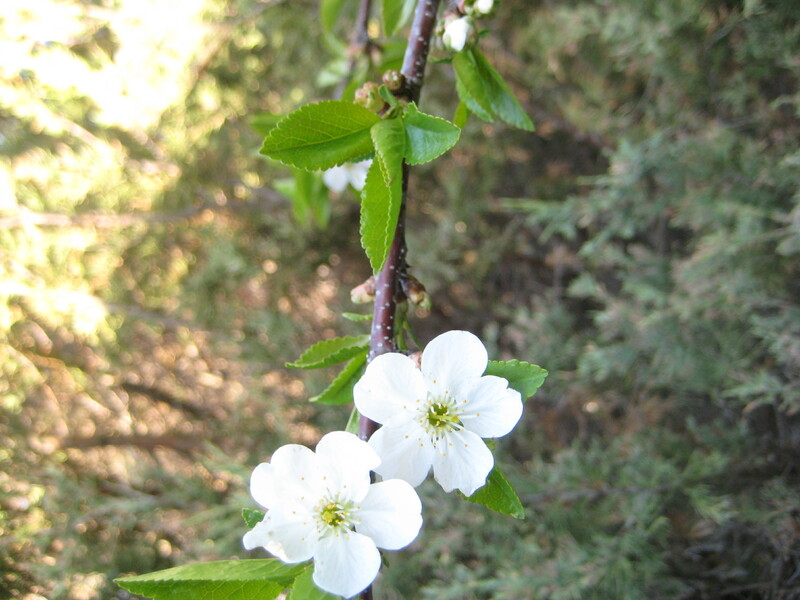 If you have the space and inclination, consider pie cherries in addition to berries. The spring blossoms are gorgeous. I never sprayed my cherries. The only trouble I had with the plentiful fruit was beating the birds to it.